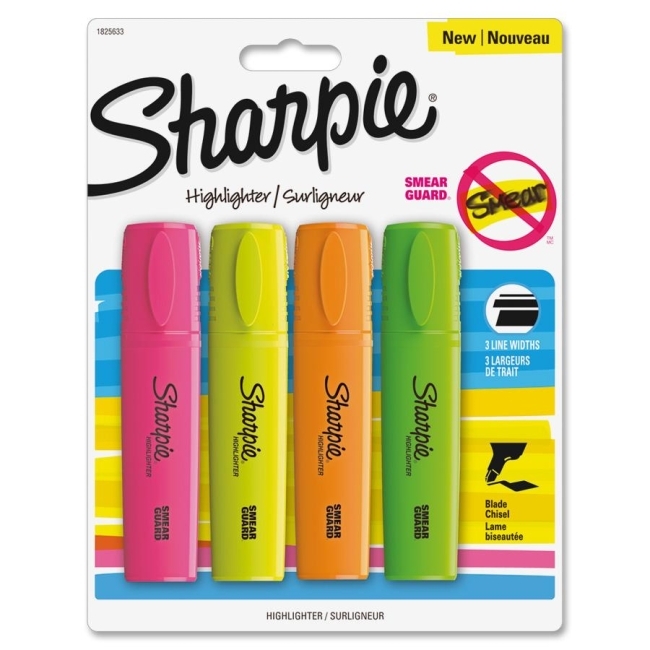 Sharpie Blade Highlighters deliver precision and value in one well-designed package. Innovative, blade-style tip delivers precise highlighting with the ability to select three different line widths. Smear Guard ink technology is specially formulated to resist smearing of many pen and marker inks. Quick-drying, odorless ink is certified AP nontoxic. Bright see-through colors increase information retrieval efficiency so the highlighter is great for highlighting or underlining. 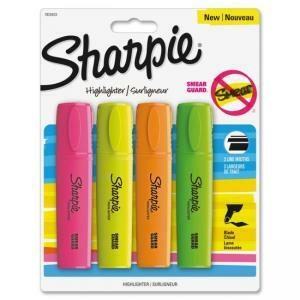 Dependable and long-lasting highlighter also offers a long write-life.